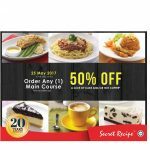 8excite offer RM100 Secret Recipe cash voucher at only RM95. Enjoy 5%off discount deal. What’s more? Free delivery Cash Voucher. Terms & Conditions apply, while stock last! 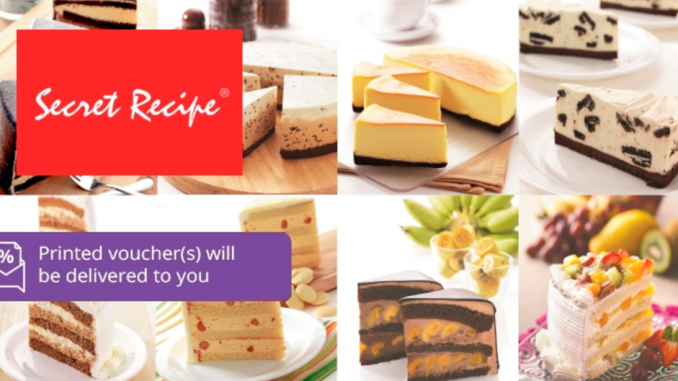 Founded in 1997, Secret Recipe made its mark, renowned for its extensive range of fine quality gourmet cakes. 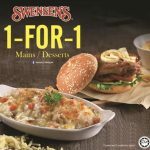 It has since evolved to become one of the fastest growing lifestyle cakes and café chain in the region with over 440 café outlets to date.Secret Recipe Cakes & Café’s concept can be found in prime urban locations and shopping malls in major cities in the region including Malaysia, Singapore, Indonesia, Thailand, China, Brunei, Myanmar and Maldives. 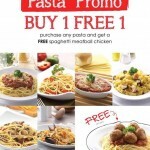 FREE Secret Recipe’s Spaghetti Meatball Chicken Giveaway! 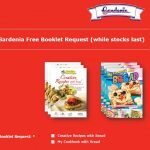 FREE Secret Recipe RM20 Cash Voucher Giveaway! 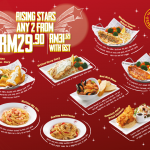 The Manhattan Fish Market Offer Rising Stars at RM16 per Person Only!